I recently started "mini" 5 and 10 gallon native aquariums with some lovely critters from my pond. Don't worry, the size is still big for my tiny inhabitants. I will increase the space as needed. 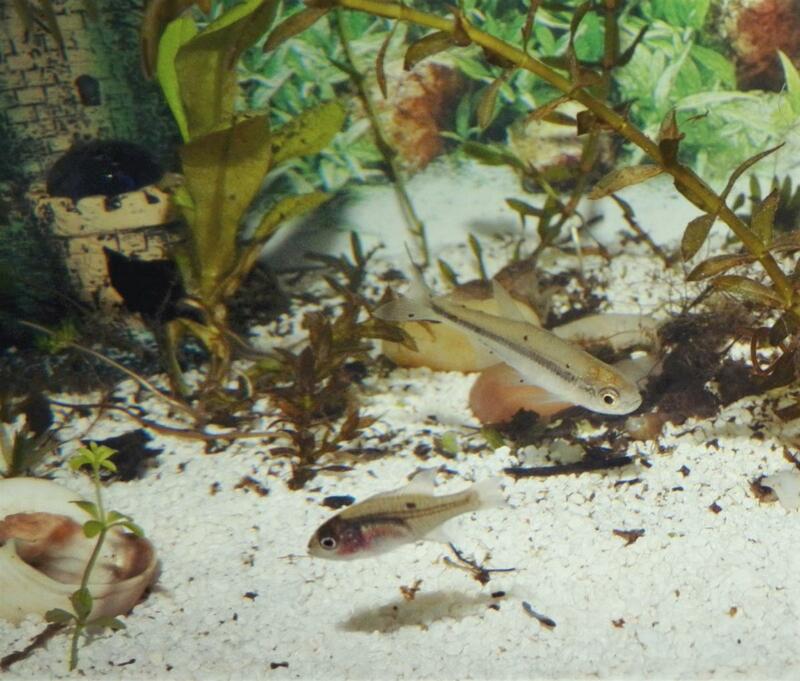 I currently have a minnow a baby sunfish species (still a bit too small for me to ID exactly), 4 tadpoles and several snails, along with some pond invertebrates in one tank (and a crayfish until it gets big enough to be aggressive). In my other tank I have a crayfish named Tulip with her surviving snail friends and invertebrates. 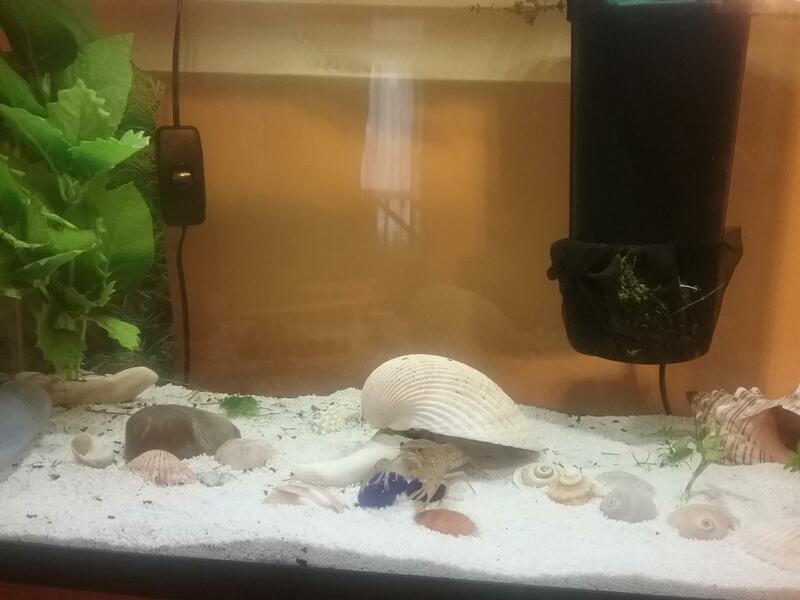 I'm working on these being planted tanks if I can figure out how to keep the crayfish from digging up Every plant I put in, I do plan to stick the plant trimmings in for them to enjoy digging up to their hearts content. I'm also keeping some colonies of Cyclops and daphnia, and earthworms as food for my tiny fish (they only eat live food or frozen bloodworms, they have no interest in flakes or pellets or dried shrimp or bloodworms). Looking forward to learning and sharing what I learn. 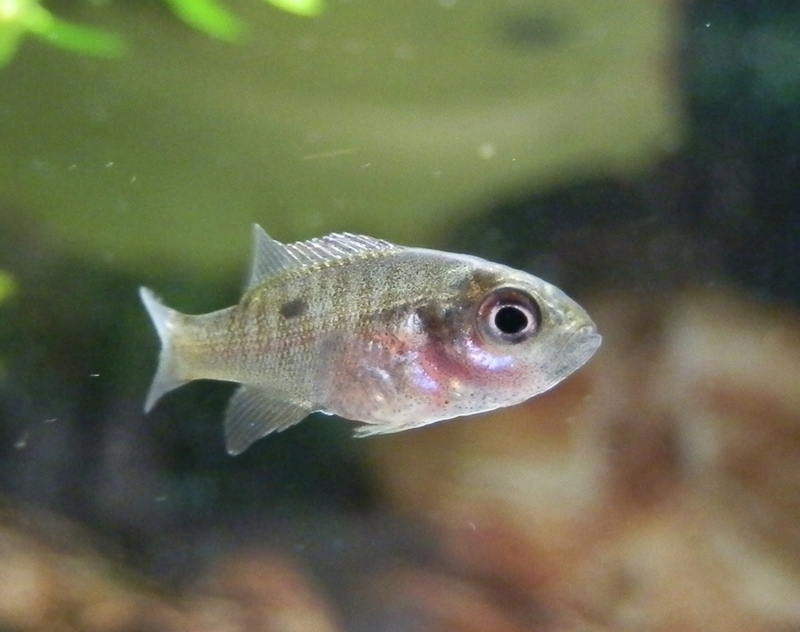 I have researched the black spots on the minnow and consulted a vet, they appear to be encycted parasites that are not particularly harmful to the fish in smaller numbers, and they need a bird to eat the fish in order to reproduce and go into a snail before reaching a stage that they can increase the infestation on a fish. All the best Experts were Beginners who didn't give up. Welcome. Your tanks look nice. Very nice! With a couple of more photos of the sunfish, I am certain that the folks on here can identify it for you. Unless, that is, you want to settle that puzzle yourself! Thanks jeffreyconte, My sunfish is still so tiny it's hard to get a good idea of what his coloration will be, mostly you can see right through it's body still. I'm leaning towards bluegill but not sure yet, all the sunfish seem quite similar to my eye at this size. Here is a better picture. Do you think I should post them separately also? Maybe with a title "Juvenile Sunfish Needs ID". I didn't want to post a "can someone ID this fish" as I do know the family is Sunfish (Centrarchidae) but I don't know the species. This is a good photo. I don't think that it's a bluegill, as it is lacking the "thumbprint" at the end of the dorsal fin. I'm not saying that it's not, just that I don't think that it is because the smallest specimens that I collected have that feature. Normally juvenile bluegill that size do have a purplish tint and dorsal spot but the white substrate could be washing it out a bit. Given your location and pic I'm leaning toward redbreast. Looks similar to YOY pics I've seen of them at that size. I don't have any experience with redbreast sunfish and I was leaning toward Pumpkinseed due to collection location. I admit that the mouth seems large for a Pumpkinseed. Maybe Suzanne can get a better picture of the opercular flap? I have never seen a redbreast sunfish in our area, but we do have a lot of pumpkinseed and rock bass and bluegill. I will try to get a better picture of its opercular flap,if he holds still long enough. I'll put it in an ID post. Thanks. I wish that I could say that I noticed it, but the truth is that I learned that from reading about how to distinguish between various Lepomis species. We have many here in Illinois- Redear, Orangespotted and Green Sunfish, Bluegill, Pumpkinseed, Warmouth. Oh good I'm not the only one who never noticed it! Lol! That's why I like learning more about stuff I'm interested in, there is always something new to learn. Juvenile sunfish are difficult for a lot of us. Welcome, Suzanne! Good job on researching those encysted parasites. They are a bit disconcerting to look at, but as you say, not particularly harmful, especially in small numbers. Hi, thanks! I'm just a few lakes over... in the little town of Naples, near Canandaigua lake and Honeoye lake. welcome, Suzanne I grew up in East Bloomfield and have relatives still in the area. Honeoye creek was a favorite site.